We do not know of an International Standard for free chlorine levels in irrigation water but we do know that most States in the US require wastewater treatment plants to neutralize TOTAL chlorine levels before discharging water into the environment and that wastewater treatment facilities must test for total chlorine residuals in their effluent streams on a regular basis to make sure the chlorine concentrations stay virtually non-existent. 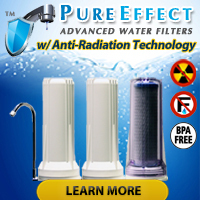 Why worry about chlorine in the environment? If allowed to enter the environment chlorine can and will effectively kill or damage biological organisms that it comes in contact with. In great enough concentrations chlorine will wipe out all plant life in a body of water as well as any animals or fish in the water. We use chlorine to render safe (i.e. KILL) biological contaminants in our drinking water and if released into a natural habitat the chlorine will render safe (i.e. KILL) any and all plant an animal life until it loses its effectiveness. 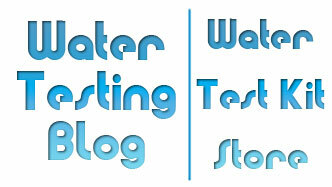 Testing for free & total chlorine? 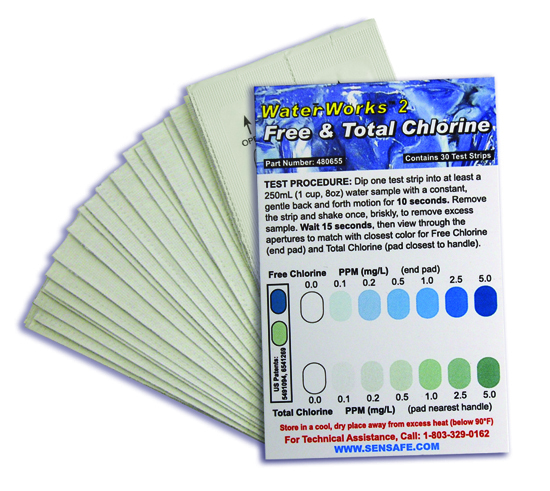 Whether you prefer test strips, wet chemistry kits or a water testing meter… you have plenty of choices when it comes to testing for both free and total chlorine levels in drinking and treated waste water.